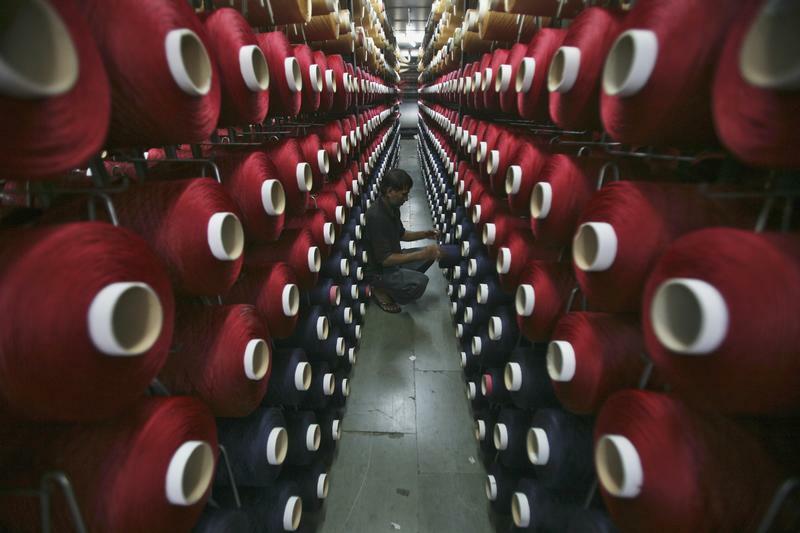 India needs a factory revival to boost its growth prospects. The country’s economy is unsteadily perched on software exports, hot money inflows and outsized fiscal transfers to villages. All three end up making the country’s exchange rate and labour uncompetitive. That shortens the fourth leg of the stool: manufacturing. At 13 percent of GDP, the share of manufacturing in India’s output is unusually low for a nation with a per capita annual income of just $1,600. Poor infrastructure and rigid labour laws are the main reasons why India failed to industrialize even after opening its economy in 1991. Other factors have also played a part. Surging software exports and inflows of foreign equity and debt have lifted the value of the currency. While last summer’s mini-currency crisis made the rupee more competitive, overly generous government spending in villages has triggered inflation. Galloping wage expectations have further hurt industrial employers. This lopsided development matters because India needs to create lots of jobs. Almost 30 percent of India’s 1.27 billion people are aged between 10 and 24. Agriculture is growing too slowly to employ them, while export-oriented services, such as software, can only absorb a fraction. Rapid industrialization is the only alternative. India’s general election offers a prospect of change. If opposition leader Narendra Modi is able to assemble a majority, he is very likely to accelerate the Delhi-Mumbai Industrial Corridor. The partly Japanese government-financed initiative, of which Modi’s home state of Gujarat will be a big beneficiary, aims to build high-speed rail and road networks through a string of brand-new factory towns to connect the land-locked north with seaports along the western coast. Surplus farmhands could then produce widgets for global markets. Though the approach smacks of old-fashioned industrial policy, there are reasons to be optimistic. The special zone will have the scale to rival Chinese enclaves like Shenzhen, and adopt more liberal labour laws than the rest of the country. Also, the new cities will offer reasonably priced education, healthcare and transportation to workers, helping to tame their wage expectations. If the zone takes off, Indian manufacturing could become competitive. That will give the economy a leg up. An employee works at the production line of a carpet manufacturing factory in Jammu September 12, 2013. The share of manufacturing in India’s GDP was estimated at 13 percent in the year that ended in March. In 1980, the share of manufacturing in total output was more than 17 percent, according to the Central Statistical Organisation in New Delhi. India had 362 million people in the age group of 10 to 24 years in 2013, or a fifth of the world’s youth, according to Washington-based Population Reference Bureau. India’s five-week-long general election will conclude on May 12. Votes will be counted on May 16. Results will be declared the same day.